What is an Essay Form? The specific structure that an essay is written is referred to as an essay form. Most people confuse essay content with essay form. Essay content is the substance that makes up the essay, while essay form is way the writer arranges or articulates his or her ideas. The arrangement of specific ideas in the essay always varies greatly. All essay forms have an introduction, body and conclusion. The main aim of the introduction is to give an opening to the ideas discussed in the body of the essay and to present the thesis. The body is the longest part of the essay and contains most of the information that relates to the thesis. The conclusion, on the other hand, summarizes the essay. The comparative essay is one of the simplest essay forms to apply. This type of essay makes comparison between two distinct literature theories, pieces, styles, items or strategies. The comparative essay form presents a very profound avenue for analyzing what happens in our environment. A persuasive essay format assists scholars in developing important persuasion skills. In order to be effective in persuasion, itвЂ™s important that you provide the listener or the reader with strong and constituent points. These points should further be put forward in a passionate and eloquent manner. It is important that one posses impeccable writing skills in order to convince the reader or listener that their point is right. 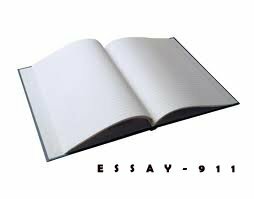 One of the most complicated essay forms is the critical analysis essay. This is so because it emphasizes excellent logic, unrivaled argumentation and exhaustive research. The scholar is expected to have advanced levels of proficiency in writing when it comes to dealing with this essay form. In addition they are also expected to have thorough knowledge of the study area. ItвЂ™s important that the writer is vehement in presenting his or her views when writing a critical analysis essay. In addition, the views should be articulated clearly. A relevant conclusion, as well as coherent argumentation, is quite important for this kind of essay. Writing these kinds of essays assists scholars to develop vital skills that are quite useful especially when writing term papers. Argumentative essays require that you have strong arguments on a particular theory or idea. Furthermore, you must also present supporting information such as examples and numerical data in your argumentative essay. It is important to begin your essay by presenting a strong thesis statement. It is also imperative that you use academic language and a persuasive tone with this kind of essay to get the best results. A cause and effect essay is among the most widely used essay forms. This essay form is used in discussing particular phenomena in regard to their underlying causes and impacts or outcomes. It is important for all scholars to familiarize themselves with the different essay forms that are used in academia. What is an Essay Form? 7.4 of 10 on the basis of 4342 Review.